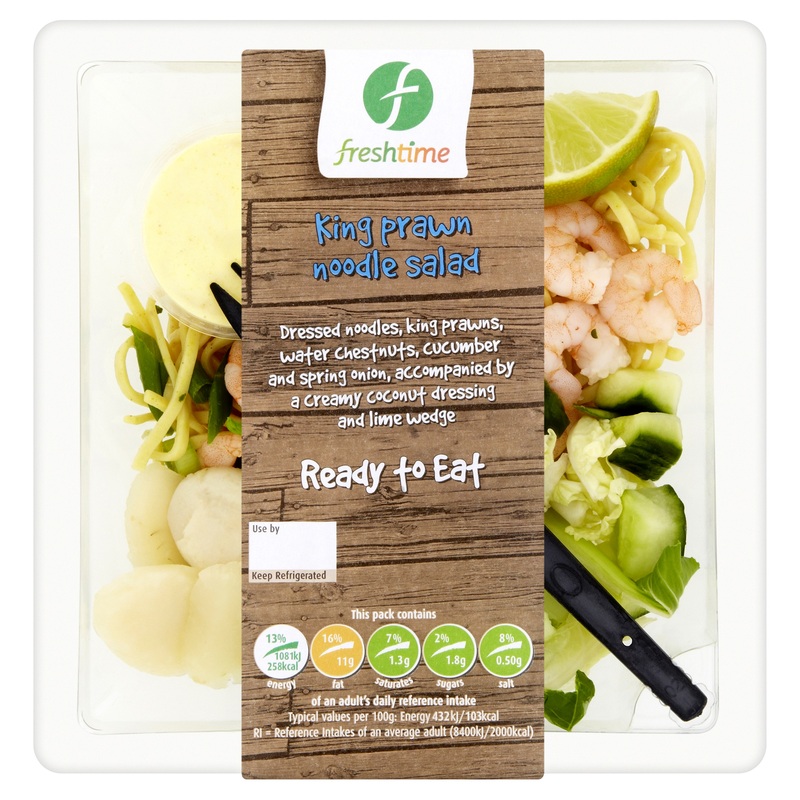 Leading snack salad and prepared vegetable producer Freshtime UK has launched a new range of premium branded salad products nationwide. The new range, which includes chicken, bacon and pesto pasta salad, king prawn noodle salad and hot smoked salmon with dressed potatoes, is aimed at the growing food-to-go market with an emphasis on healthy eating. The range is a departure for Lincolnshire-based Freshtime, which chiefly produces retailer branded prepared salads, snack salads, prepared vegetables and deli fillers to supermarkets and the foodservice sector. The company refreshed its visual identity this year and its new branding featuring a prominent and colourful F shape can be seen on the product range. 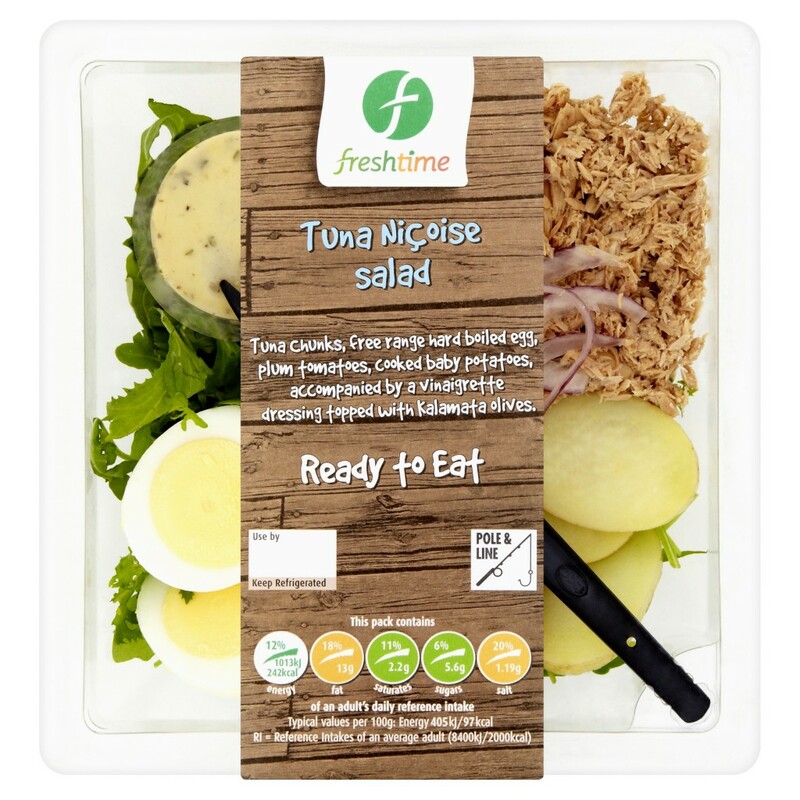 “We have supplied ready-to-eat salads for several years but we felt the time was right to develop a more premium range which reflects the latest trends in international cuisine and healthy eating,” said Mark Newton, Managing Director of Freshtime UK. The full Freshtime range includes Asian Style Chicken Pasta Salad, Chicken, Bacon and Pesto Pasta Salad, King Prawn Noodle Salad, Hot Smoked Salmon with Dressed Potatoes, Greek Salad with Anchovy Fillets, Mexican Style Chicken and Spicy Bean Salad, Roast Pepper, Tomato and Pesto Pasta Salad and Tuna Niçoise Salad.